Would you like to touch the Atlantic Codex of Leonardo? See how they form the waves and eddies designed by the genius of Vinci? Walking with him along the Martesana Canal? All this will be possible by visiting Leonardo in Adda, the interactive gallery brainchild of Andrea Biffi and realized by Koinè Theater as part of the Sustainable Abcd project in North Adda Park. The gallery is located in the House of the Guardian of the Waters of Vaprio d’Adda in via Alzaia South 3, the premises once used as a popular inn. 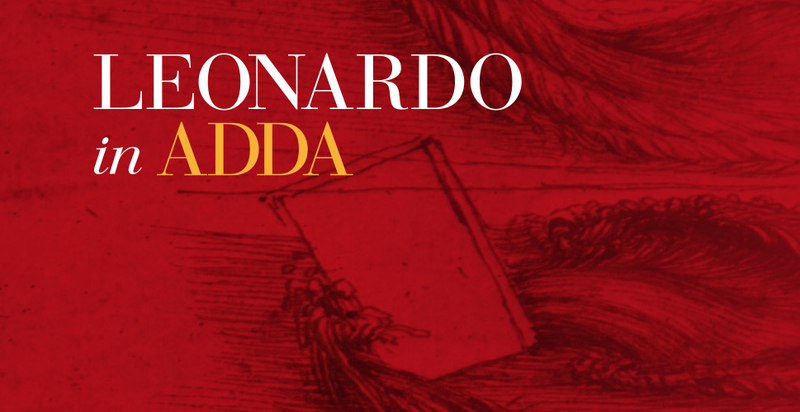 Leonardo in Adda, entirely designed and dedicated to stays of Leonardo Da Vinci on the Adda River and its studies on water and its movements, the landscape and painting then collected in the Codex Atlanticus, includes three multimedia installations: “Theatre of the Atlantic Codex” , “Catalogue of the motions and water”, “landscape Treaty”. The visitors, divided into groups and provided with audio guides, will visit the three rooms and, thanks to the magic of theater, they will find themselves in the genius mind. The first hall, Theatre of the Codex Atlanticus (rebuilt as an old print shop with a lot of tools and dressers) dá the opportunity to visitors to look and touch 300 of over 1000 sheets of the Codex Atlanticus, the precious copy 1 to 1 Printed by Giunti Publisher. An almost unique possibility in Italy. Great visual impact of the motions and water Catalog room. On a “water table”, a large aquarium containing over 14 thousand liters of water, they will play different water movements as I look at them and described them Leonardo: waves, streams and eddies. Experiments, strobe lights and theatrical narrative freedom to experience the visitor to experience the total involvement. Landscape treaty is a video installation that accompanies a Leonardo walk along the canal and the “Riviera” of Vaprio d’Adda, rich in noble villas including Palazzo Melzi where Leonardo was staying for several years.